Yesterday, I heard that the science fiction editor Gardner Dozois had passed away. Gardner and I never met, and we exchanged only a handful of emails over the last decade, but he profoundly affected my life on at least two occasions. The first was when I was twelve years old, and I received a copy of Asimov’s Science Fiction—which Gardner was editing at the time—for my birthday. As I’ve recounted here before, it was that present from my parents, given at exactly the right moment, that made me aware of short science fiction as a going concern, as embodied by its survival in the three print digests. My career ended up being more closely tied to Analog, but it was Asimov’s that set me on that path in the first place. Without that one issue, I don’t know if it would have occurred to me to write and submit short stories at all, and everything that followed would have been very different. I certainly wouldn’t have written Astounding, which I’m sad that I never had the chance to send to Gardner. He was on my list. My other great debt to him lies in the form of the annual anthology The Year’s Best Science Fiction. Each installment represented a massive amount of work—Gardner seemed to read everything—and I sometimes think that they’ll turn out to be his most lasting legacy. 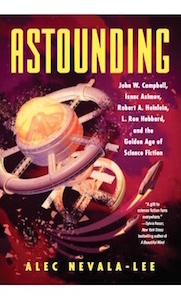 When readers of the future want to figure out what was going on in literary science fiction over the last thirty years, they’ll turn here first, just as I relied heavily on similar collections to approach the stories of an earlier generation. When Gardner selected “The Boneless One” in 2011, it provided a huge boost to my confidence, and I felt exactly the same way last year when he said that he was taking “The Proving Ground” for what will turn out to be his last volume in the series. As a result, I’m hopeful that these two stories will continue to find the occasional reader in the decades to come, which may not be true of any of my other fiction. Making sense of this genre can be an overwhelming task, and we rely on editors and anthologists to give it a retrospective order. Along with so much else, Gardner was a curator of the imagination. And it’s hard to envision anyone filling quite the same role ever again.